Shamima Rahman, FRCP, FRCPCH, PhD is Professor of Paediatric Metabolic Medicine at the UCL Great Ormond Street Institute of Child Health (ICH), and honorary consultant at Great Ormond Street Hospital for Children, London. 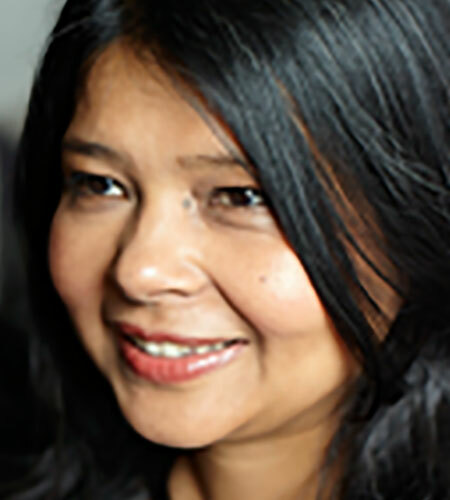 Professor Shamima Rahman is Professor of Paediatric Metabolic Medicine at the UCL Great Ormond Street Institute of Child Health (ICH), and honorary consultant at Great Ormond Street Hospital for Children, London. She trained in Medicine at Oxford University, and in Paediatric Metabolic Medicine at Great Ormond Street Hospital, London. Professor Rahman established the Mitochondrial Research Group at ICH in 2000, with a particular focus on discovery of the molecular basis of mitochondrial disease. Her research group has discovered several nuclear genes responsible for mitochondrial disease and is currently working on developing novel therapies for these currently incurable disorders. Professor Rahman is an Editor of the Journal of Inherited Metabolic Disease, a Senior Editor of the Annals of Human Genetics and an Officer of the Society for the Study of Inborn Errors of Metabolism’s Education and Training Advisory Committee. She sits on the Scientific Advisory Boards of the French Muscular Dystrophy Association (AFM-Telethon) and the Lily Foundation.